"Dear Frank and Family, We were so shocked to hear about dear Annabelle's passing and so very grateful that we were together at the Vaz..."
Annabelle C. Vazzano, a 45-year resident of Brewster, NY, died peacefully on October 24, 2018 at Columbian Presbyterian Hospital. She was 78 years old. Born on December 26, 1939 in New York City, NY, daughter of the late Frank and Victoria (DiSalvio) Jesselli. Annabelle graduated from Seward Park High School in 1957. On September 24, 1960 she married the love of her life Frank Vazzano at St. Joseph’s Church in New York City. Following their wedding they moved to Queens, NY before moving to Brewster in 1972. Mrs. Vazzano is not only survived by her loving husband Frank, but also her children; Frank Vazzano (Lana Totten) of Brewster, NY, Anthony Vazzano (Diana) and Christopher Vazzano (Heather) of Patterson, NY, her 3 grandchildren; Cristina, Christopher & Julianna and her sister Marie Parlante. A Mass of Christian Burial will be celebrated on Saturday October 27th at St. Lawrence O’Toole Church, Brewster, NY at 11am. Interment will follow St. Lawrence O’ Toole Cemetery. Visitation will be held on Friday October 26th from 2-4pm and 7-9pm at Beecher Funeral Home, 1 Putnam Avenue, Brewster, NY. 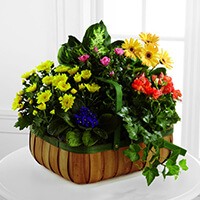 To send flowers to the family of Annabelle C. Vazzano, please visit our Heartfelt Sympathies Store. We encourage you to share any memorable photos or stories about Annabelle. All tributes placed on and purchased through this memorial website will remain on in perpetuity for future generations. 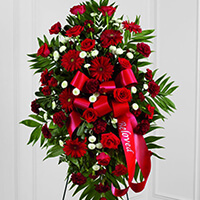 Dear Vazzano Family, On behalf of the Seibel's we would like to express our condolences on the loss of Mrs. Vazzano. We have very fond childhood memories from Oakwood Drive and we Thank Mrs. Vazzano for helping and being apart of memories. God Bless You. Rest In Peace. With Loving Memories from your Cousins and Their Families.